Timothy A. Helisek is a classical pianist and composer. His latest album, Moonlight, features a diverse mix of classical piano music ranging from Beethoven to Philip Glass. His first album, Cognisance, is a collection of the greatest solo piano compositions from the modern classical period. His two earlier albums, The Time EP and ﻿Animating Existence﻿ fall into the electronic avant-garde genre. These pieces were composed using mostly sounds that originated from objects like metal poles, pots and pans, wrenches and cardboard boxes. Then, like a collage of sound, these elements are transformed and mixed together. 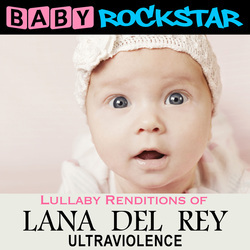 On past albums, Baby Rockstar has paid tribute to Taylor Swift, Adele, Daft Punk, Lorde, Lindsey Stirling, The Beatles and movie soundtracks like Disney's Frozen and The Nightmare Before Christmas. Helisek Ringtones began releasing ringtones to the iTunes Ringtone Store in 2010. It has since grown to over 300 ringtones, available anywhere ringtones are sold! Several tones have become top 10 hits on iTunes, including Fur Elise, Dance of the Sugar Plum Fairy, John Carpenter's Halloween and Macklemore's Thrift Shop. Subscribe to Helisek Music Publishing!